Daydreams of Quilts: Cards Designed by me! 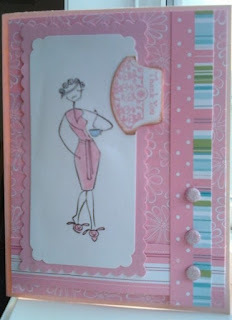 I haven't posted anything about the cards that I make on this blog. So here goes! This was a Thank you card I made for my sister with a Stamping Bella stamp. I chose this stamp because my sister is usually grumpy in the morning. Especially before she has a coffee. This was a Halloween Card I made for my husband when he was deployed to Afghanistan. I put a lot of effort into it as I wanted to cheer him up and since it was going such a long way it better be good! 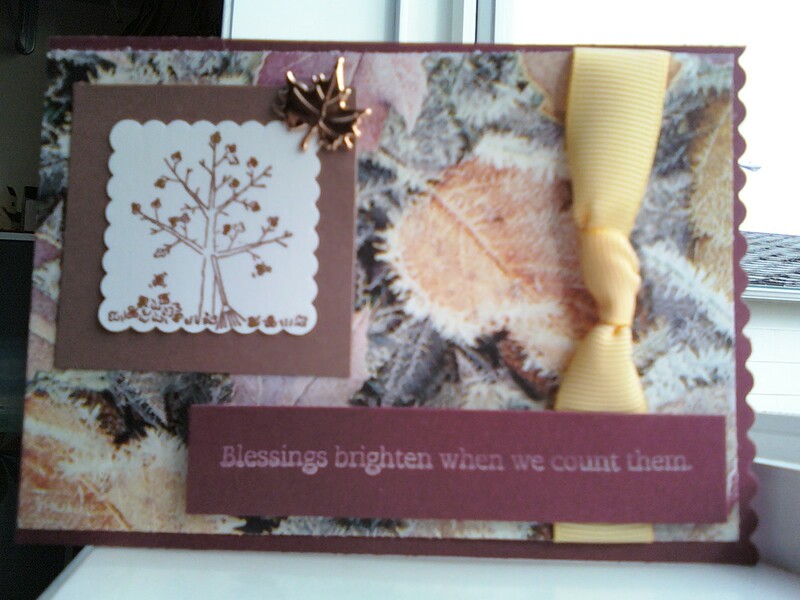 The stamps are from Stampin' Up. 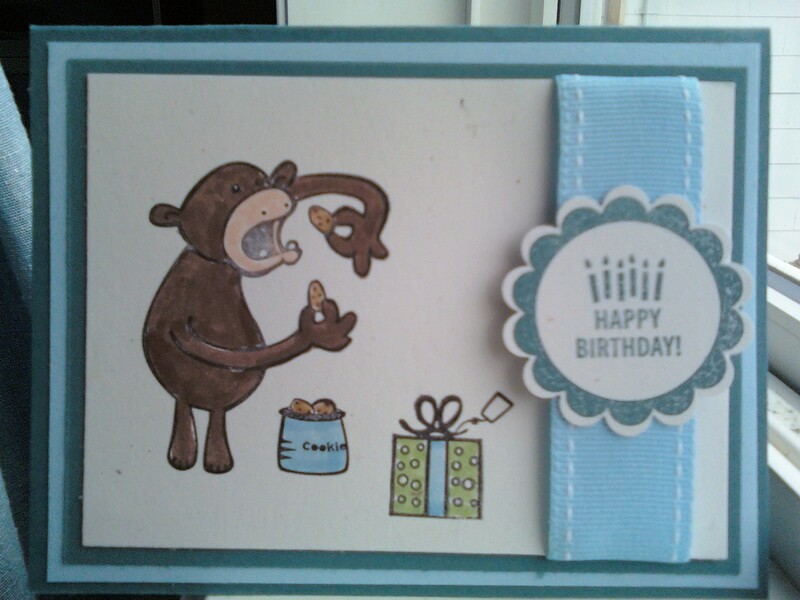 This was a birthday card for my nephew. The stamp is from the "Creatures" set from Staving Artists stamps and the sentiment stamp is from Stampin' Up. A Valentines' Day card. All supplies are from Stampin' Up. This was a Thank you card for my son's Initiation hockey coaches. This stamp is from Stampin' Bella and I think it's called "Hockey-Mom-a-Bella". There were 5 coaches to thank so I made 5 cards. How can you tell I'm Canadian eh? This was part of a set of cards I made as a gift for my son's female hockey coach who was a teen volunteer. I got the stamp at Michael's and the supplies are from my stash. 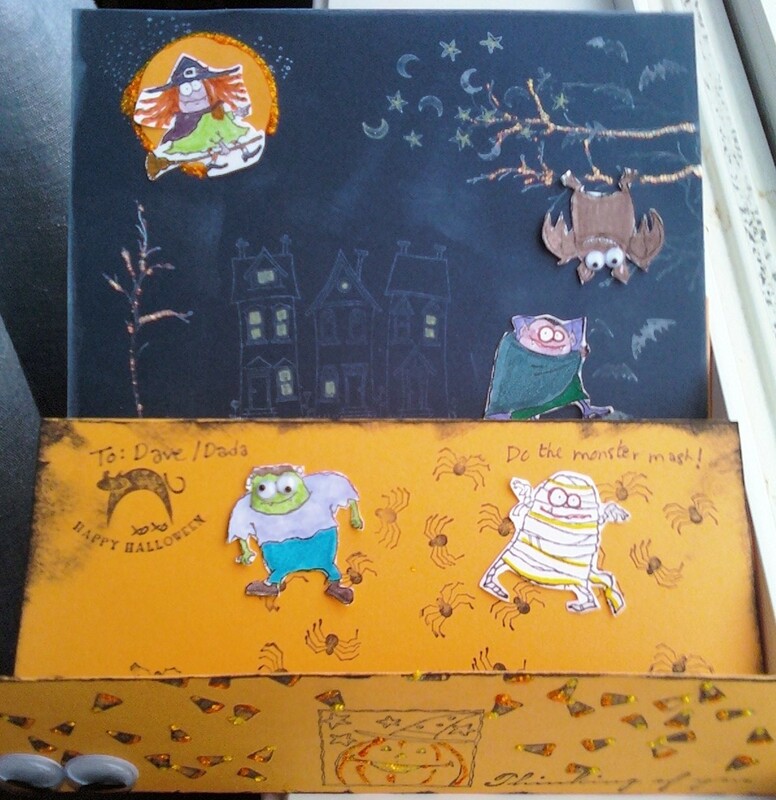 So those are a few of my handmade cards. If you need more details on the stamps or supplies please leave me a comment and I'll do my best to find more information. (Some of these were made three years ago.) Thanks for stopping by!